The Campo de Fiori (“Fields of Flowers”) is a very animated square of Rome; it was once a meadow and it supposedly has retained its name in remembrance. Another legend says that the name came from the mistress of Pompey the Great, who was known as Madam Flowers. Everyday in the morning, a small picturesque market sets up in the square where it is possible to find flowers or various fruits and vegetables. During the evening, the square comes to life thanks to its numerous coffee shops and restaurants. It is a nice and well known place where Romans often meet to go out and enjoy the “Dolce Vita”. 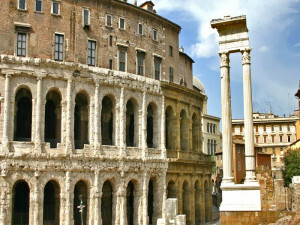 Categories: Sightseeing Tours of Monumental Rome, Sightseeing Tours of the Jewish Ghetto in Rome. In the middle of the Campo de Fiori we can admire the impressive statue of the Dominican monk Giordano Bruno. Bruno was a mathematician, poet and philosopher who met Galileo and travelled through Europe. In 1593, he was arrested and convicted of heresy, his trial lasting for 7 years. Because he was such a talented orator, they nailed his tongue to his palate so he could not speak to anyone during his transfer to his place of death: the Campo de Fiori. He was burnt alive on Campo de Fiori on February 16th 1600. To honor this freethinker, a statue in his likeness was realized by the sculptor Ettore Ferrari and put on the square. It was inaugurated on June 9th 1889 and many other freethinkers came to honor him. Pope Leo XIII said the installation of such a statue was an act of defiance against the Catholic Church. Despite this, each 16th of February, people come and bring flowers to the statue to commemorate the death of Giordano Bruno. The Campo de Fiori is located nearby the Farnese Palace, a palace from the Renaissance which is now occupied by the embassy of France. The French government bought the palace for a lease of 99 years; the contract is set to expire in 2035. 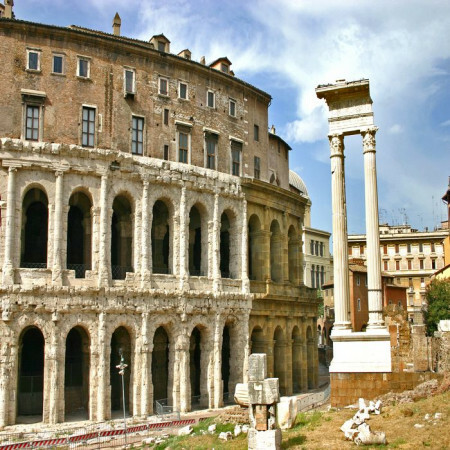 The Teatro Marcello is a Roman era open-air theatre located in the Rione Sant’Angelo. 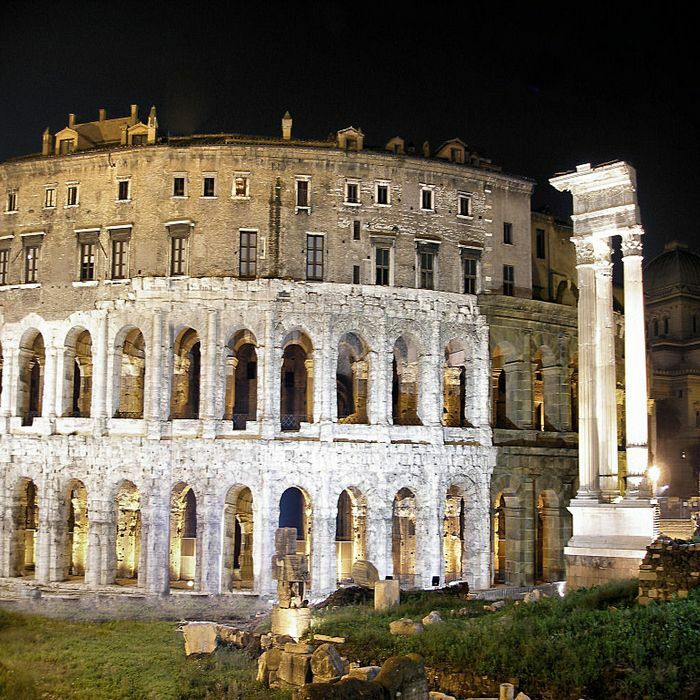 Inaugurated in 12 BC, It was the biggest theatre of its period accommodating up to 20,000 viewers. It was dedicated to Marcellus, Emperor Augusto’s nephew. 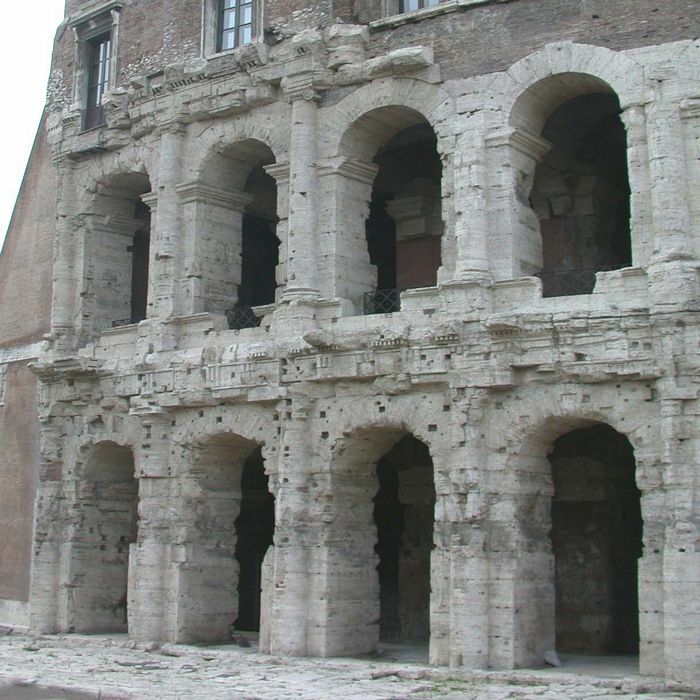 The Theatre of Marcellus was constructed mostly of tuff, cement and brickwork, while the exterior was totally covered in white travertine. Its design served as a model for the Colosseum. 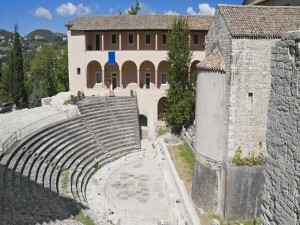 At the beginning of the 4th century the theatre fell in disuse. During the Middle Ages it was modified: the top row of seating and the columns were eliminated. 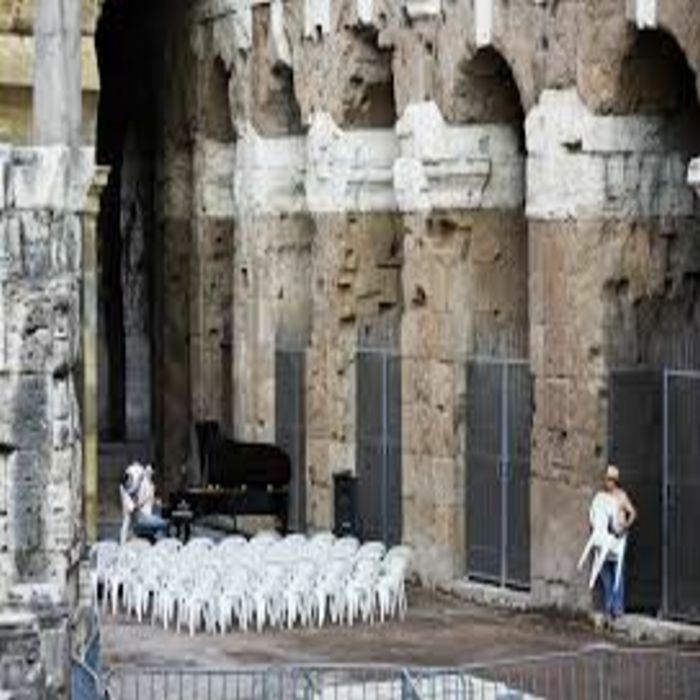 It became a fortress; the transformation luckily saved the Teatro Marcello from further demolition. During the Renaissance period the Orsini, an aristocratic family, built their residence on top of the ruins of the theatre. 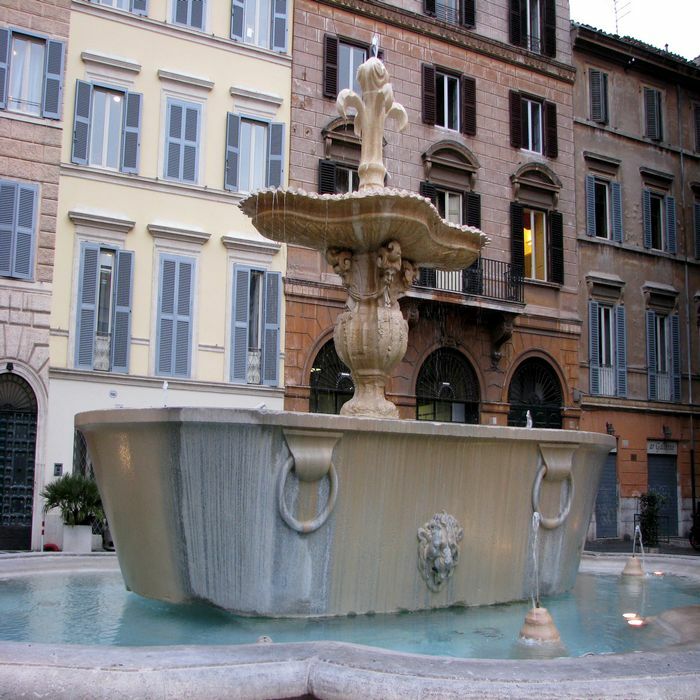 Category: Sightseeing Tours of the Jewish Ghetto in Rome. Tags: Ancient Rome, Orsini Family, Rione Sant'Angelo, Roman Theater. Due to all the modifications made over the centuries just a part of the first two levels of the ancient Teatro Marcello can still be viewed. However all of these changes transformed the theatre into a unique building. The upper level of the structure is divided into several apartments, while during the summer it is possible to enjoy small concerts in its surroundings. Thanks to its exceptional characteristic the Theatre of Marcellus is still one of the Eternal City’s most interesting locations. Piazza Farnese was joined with Piazza Campo dei Fiori: the two squares were combined to form a big open space. 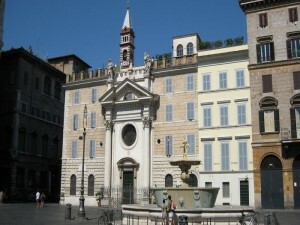 The plaza is located in the heart of the medieval Rome. It was named after the famous 16th century Palazzo Farnese; the development of the piazza and the palace were strictly connected. 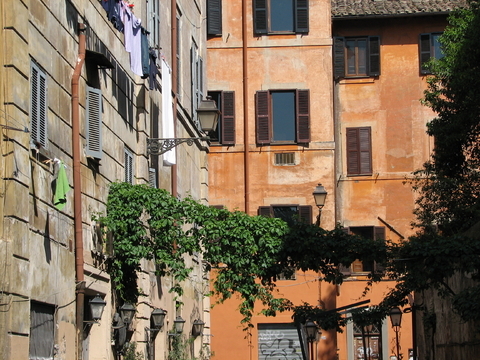 Under Pope Alexander VI the area around Campo dei Fiori started to grow in popularity. Buildings and streets were constructed to improve the district. 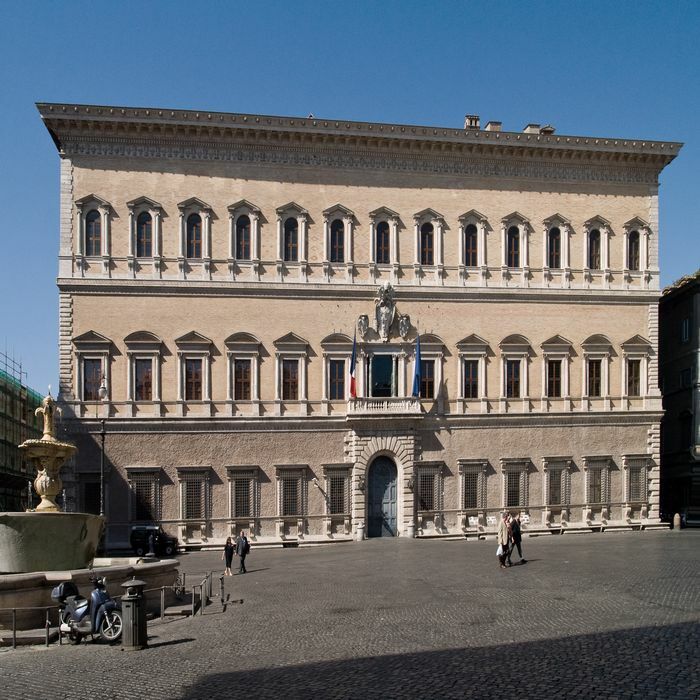 Palazzo Farnese, the largest Renaissance palace in Rome, was built for Cardinal Alessandro Farnese who would become Pope Paul III. Construction began in 1514 and it was finished only in 1589. Antonio da San Gallo the Younger, Michelangelo and Giacomo della Porta were the designers. The building was constructed with materials taken from the Colosseum and the Caracalla’s baths. Today the Palazzo houses the French Embassy. Category: Sightseeing Tours of the Jewish Ghetto in Rome. Tags: Antonio da San Gallo, Bath of Caracalla, Church of St. Bridget, French Embassy, Giacomo and Michelangelo Della Porta, Medieval Rome, Palazzo Farnese. In the center of the square are two stunning fountains made from granite bathtubs removed from the Roman Baths of Caracalla. 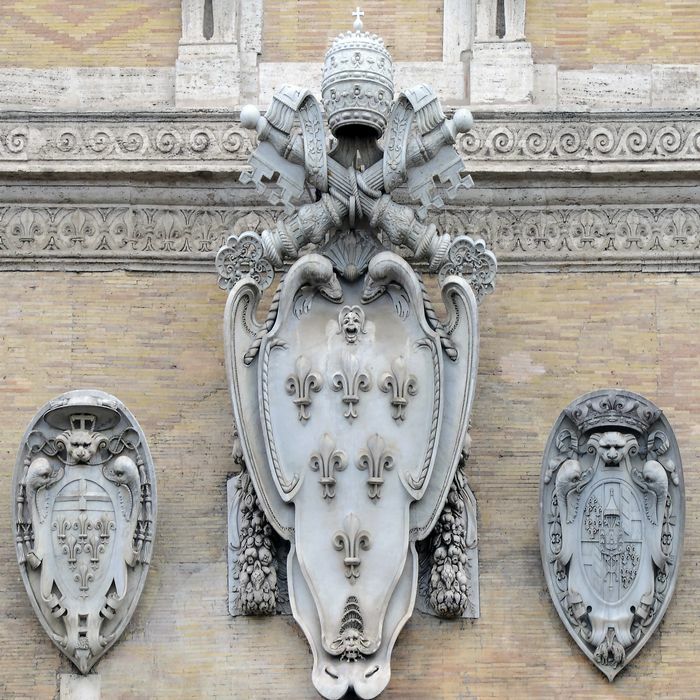 On top of each of them there is a stone sculpted iris, the Farnese’s symbol. Close to the palace is located a small church dedicated to Saint Bridget of Sweden. The Saint lived in Rome during the second half of the 14th century. After Saint Bridget death her house was converted into a church. Today we can admire a beautiful Baroque façade that was added in the 17th century. The Tempio Grande di Roma was built between 1901 and 1904 on the Tiber’s banks in the former Ghetto district. 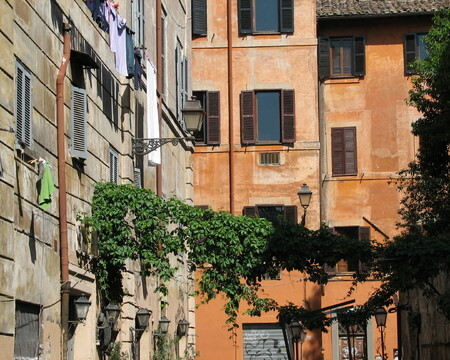 In the late 19th century, after the Italy’s unification, the Roman Ghetto was almost entirely destroyed. Roman Jews were now allowed to live also outside the area. To celebrate the freedom the Jews community decided to build a new Synagogue. They wanted a building that can grab the attention of the population. 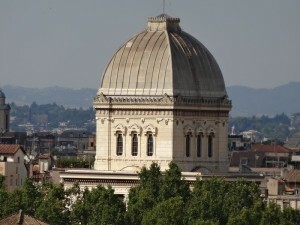 The Great Synagogue stands out for its eclectic style and its unique square aluminum dome; it is easily visible form many points in the city. 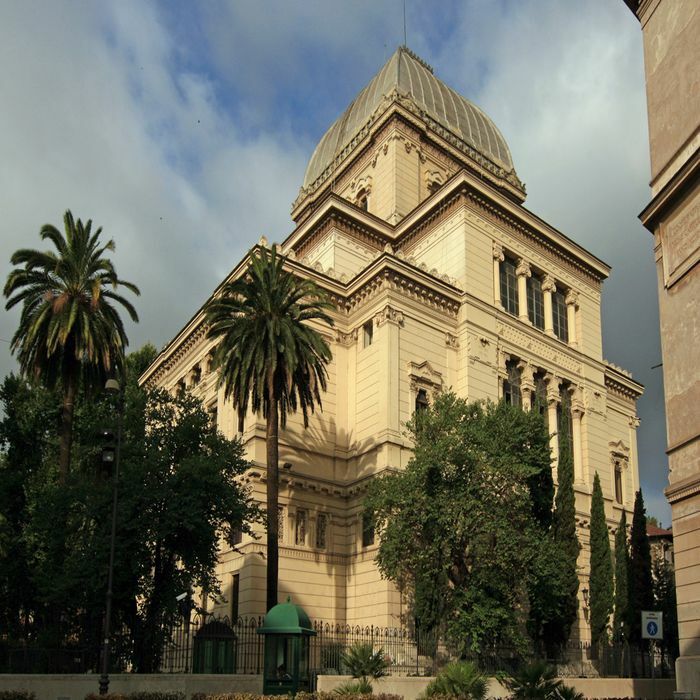 The Synagogue is also the heart of the Jewish community of Rome; it houses the Chief Rabbi’s offices and the Jewish Museum. 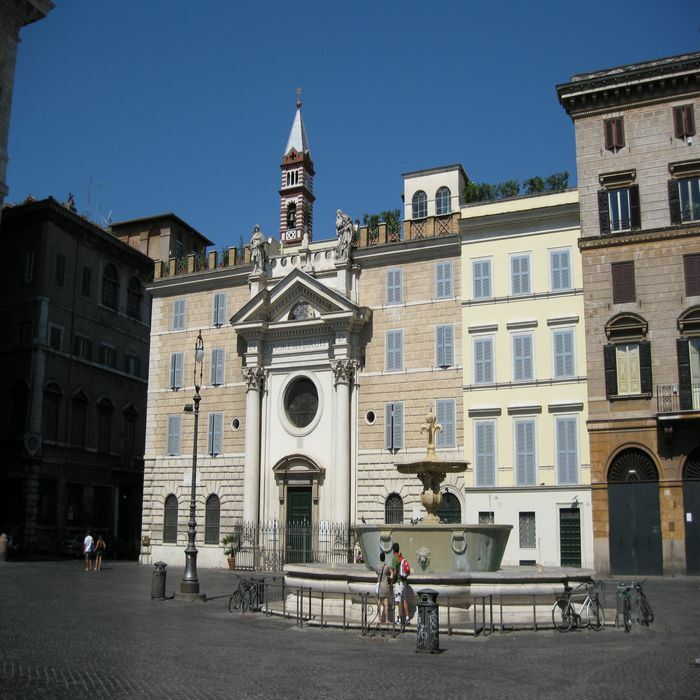 Category: Sightseeing Tours of the Jewish Ghetto in Rome. Tags: Aluminium Dome, Jewish Museum of Rome, Roman Ghetto. 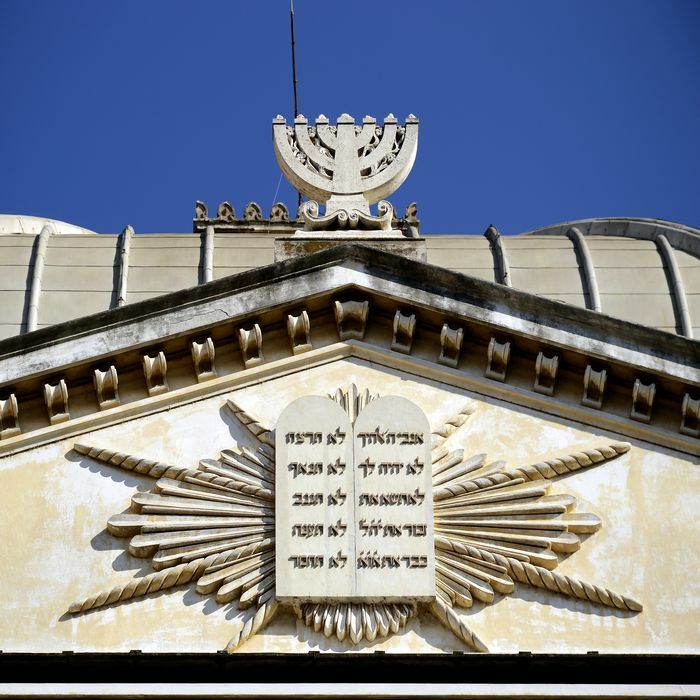 Designed by Vincenzo Costa and Osvaldo Armanni the synagogue is an example of Babylonian style, with painted ceilings and an impressive free-standing ark. 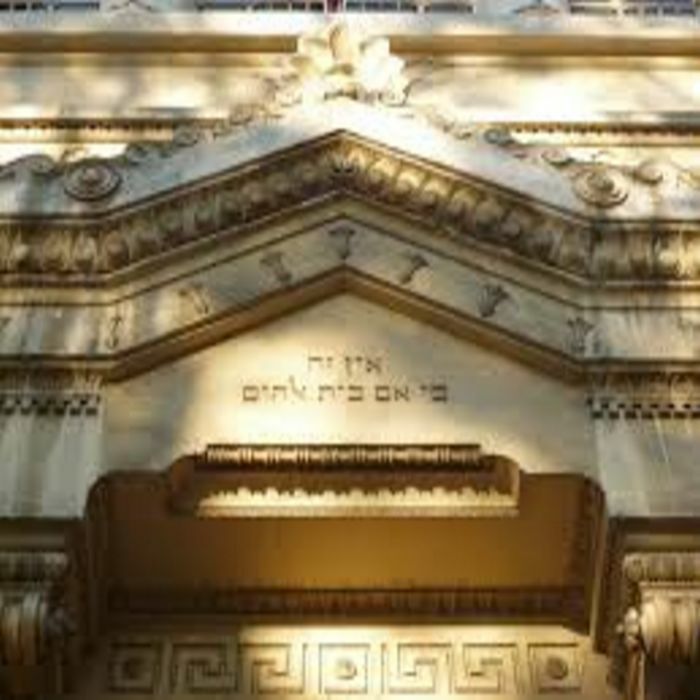 The uniqueness of this very old community is evident also in the décor of this house of worship: on the walls Aramaic symbols are mixed with Hebrew ones. 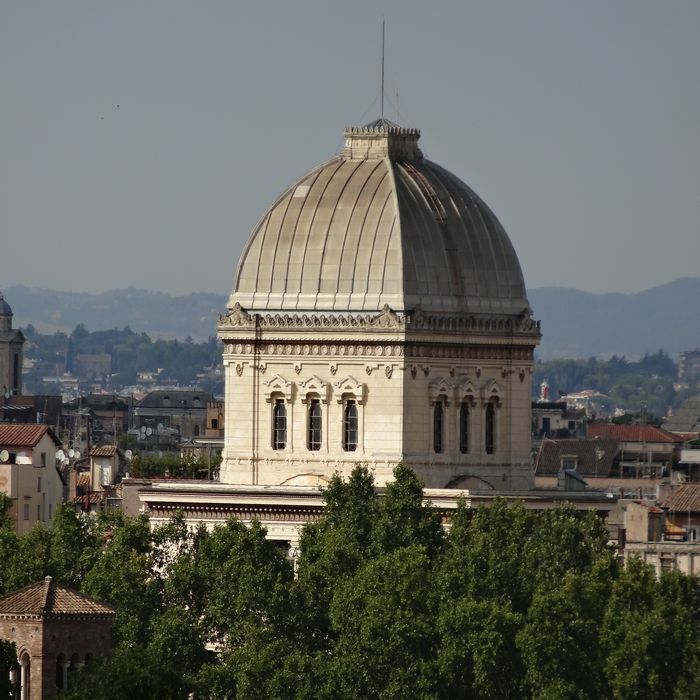 In 1960 the Jewish Museum of Rome was opened to illustrate the 2000 year old history of this community. Roman silverware, precious textile form all over Europe and many other artifacts are now displayed here.